Give your home a face-lift while increasing safety and value. Driveways, walkways, steps, front porches and patios can become a tripping hazard when in poor condition. 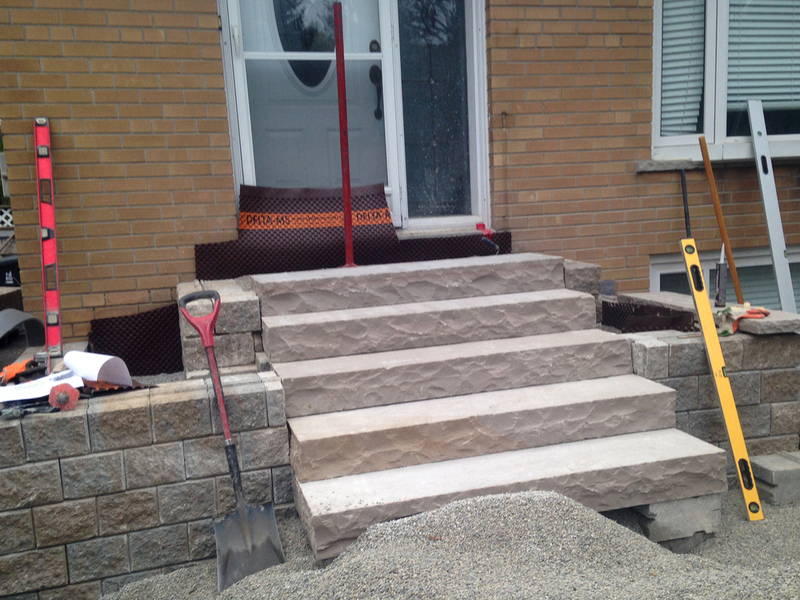 Damaged retaining walls can fail and cause damage to your neighbours’ property or your own. We will inspect your existing features and evaluate the need for any repairs, and install a completely new structure on a proper base if necessary. First impressions can be so important when it comes to your home...especially when you plan to sell! Adding curb appeal is an investment that will pay off multiple times through better first impressions and a higher overall value of your home. It's astonishing how a new landscape design can transform your home and give it a new and improved feel. Express your taste and style with new colours and designs. We will recommend the right materials to enable the perfect match! We use only materials and building techniques that are suitable for the extreme temperatures and temperature changes of our northern climate. 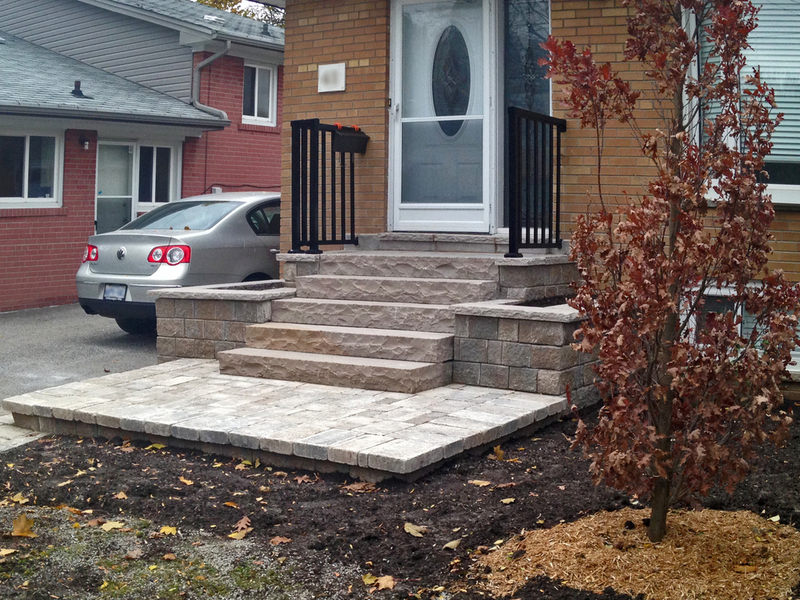 You can rest assured that your investment will continue to look great even after many years of Ontario's harsh weather! Spending time outdoors is an essential part of life! It has been proven to boost energy levels, mood, immunity, happiness, spirituality, creativity, and even cognitive brain function among other things. Look no further than your own backyard! There's no better (or closer) place to to unwind and renew after a hard day of work. Let us work with you to design the perfect sanctuary that meets your taste, needs and budget!